Clara Hasting’s slippers were worn out of shape, the thin leather cut in places, and in others rubbed away. They were large, roomy slippers, and had never been any smarter than their owner, who went about Trevellin from year’s end to year’s end in ageless garments of no particular cut or style, with skirts uneven, and often muddied about the hems from Clara’s habit of wearing them at ankle-length, and trailing them over her garden-beds, or through the untidy yards. Vivian Penhallow had said once that Aunt Clara’s name conjured up a vision of gaping plackets, frowsty flannel blouses, gold chains and brooches, and wisps of yellow-grey hair escaping from a multitude of pins. It was a fair description, and would in no way have perturbed Clara, had she heard it. 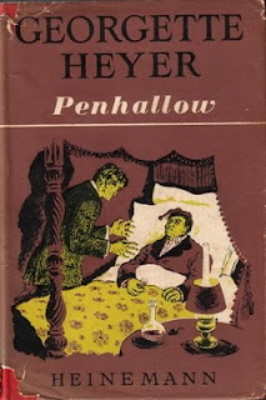 At sixty-three, a widow of many years’ standing, a pensioner under Penhallow’s roof, and with no apparent interest in anything beyond the stables and her fern-garden, Clara was as indifferent to the appearance she presented as she was indifferent to the jealousies and strifes which made Trevellin so horrible a prison to anyone not blessed with the strongest of nerves, and the most blunted of sensibilities.